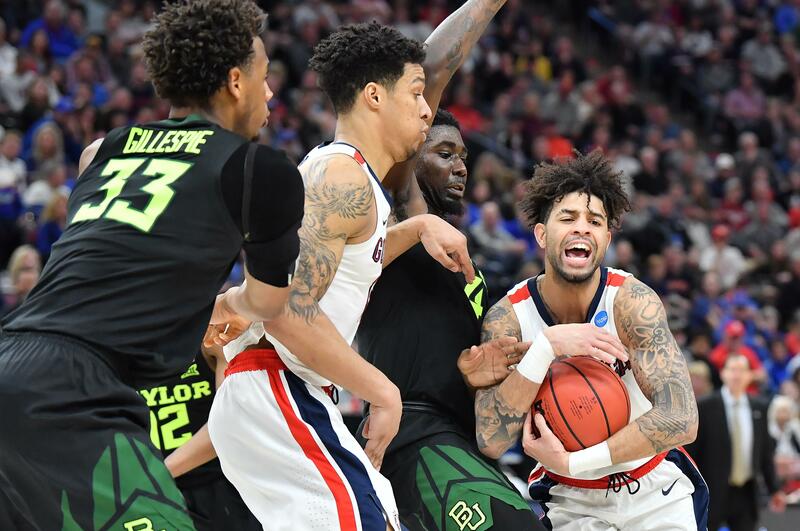 UPDATED: Sun., April 14, 2019, 10:01 p.m.
Gonzaga point guard Josh Perkins will be one of 64 seniors attending the Portsmouth Invitational Tournament this week. The 12-game tournament runs Wednesday through Saturday at the Churchland High School Sports Complex in Portsmouth, Virginia. Under the watchful eye of NBA front office representatives, the 64 players are divided into eight teams for games and go through athletic testing similar to the NBA pre-draft camp. Perkins became the program’s leader in single-season and career assists during Gonzaga’s 33-4 season. He averaged 11 points, 5.3 assists and 2.7 rebounds per game. Perkins, who recently competed in the 3-point shooting contest at the Final Four, will be joined in Portsmouth by at least one other WCC player: San Diego forward Isaiah Pineiro. All 64 players at the 2018 PIT played professionally, including former Zags forward Johnathan Williams, who played in 24 games with the Los Angeles Lakers and 36 games with the G-League South Bay Lakers. Of the 128 players in the past two Portsmouth tournaments, 32 have spent time in the NBA, according to the PIT website. Published: April 14, 2019, 5:45 p.m. Updated: April 14, 2019, 10:01 p.m. Subscribe to our Gonzaga Basketball newsletter to stay up with the latest news.